Ugh. This is the most annoying article that I’ve ever had to write. 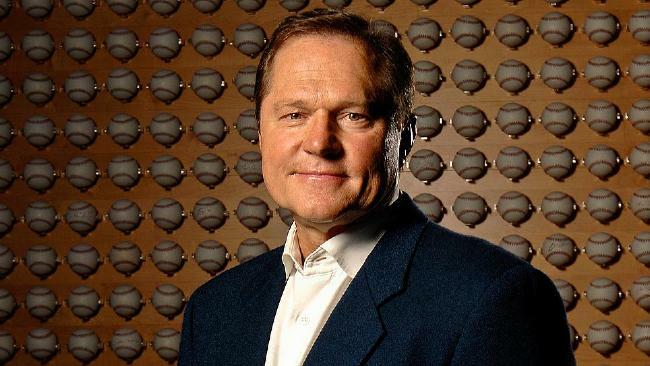 I’m so furious with Scott Boras right now, that it’s hard to even talk about him. As you know, Scott Boras “relayed a message” otherwise known as making a statement for publicity, stating that Matt Harvey must be shut down at 180 pitches, and that not doing so will jeopardize the remainder of his career. Last time, I repeatedly wrote “Seriously Management?” after every questionable decision that they’ve made. Luckily, I got bored of doing that so I won’t be telling you “Seriously Boras”, just read the title if you become upset during the flight. As my personal mentor Matthew Cerrone tweeted earlier this week, Boras seems to have forgotten the hierarchy of the Mets “decision making” staff. Sandy Alderson and Matt Harvey are obviously first. Harvey is the only one that knows his body, so if he isn’t feeling strong in his arm, he isn’t playing. Alderson has managerial over-right, he pays Harvey, so he makes the call in regard to his game status regardless of health. Next are the members of the Mets on-field coaching staff, i.e Dan Warthan and Terry Collins. Then comes the Mets current status. Since the Mets are in a thick playoff race, this is waived. That’s the list. NO Scott Boras. Scott Boras doesn’t sign the Mets paychecks, let alone tell Alderson he’s done and it’s not negotiable. In a way, Boras is right, it isn’t negotiable, because he has nothing to do with this. The only reason I don’t think Alderson should grill Boras, and it’s a very big reason, is because he’s Boras. It’s almost like arguing with your coach. Sure, you might be right, but his enmity towards you in the future might limit your playing. I don’t want the Mets to kill a relationship with the biggest agent in baseball. Sure, that doesn’t mean we would be prohibited from his players, but they wouldn’t be as available. Of course, all this is irrelevant if there is something we don’t know. I was all prepared to read a quote from Harvey something along the lines of “Yeah….. I’m playing, no question.” Unfortunately, no such quote was published yesterday. Not one. Another worrisome note is that Harvey complained of “dehydration” during his last start. While dehydration is not something that starts an arm injury, Harvey making excuses and not talking is just not like Harvey. I’m worried about this. Big time.